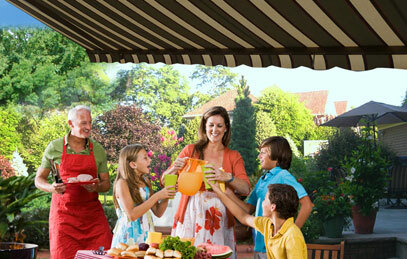 Thinking about installing a retractable awning in your backyard? Odds are you’ve been doing a little research into what retractable awnings cost. Let us be the first to tell you that awning price considerations aside, adding a retractable awning is the best way to add shade and protect your family from harmful UV rays. Picture this, you’re all set to enjoy a beautiful afternoon out on your patio – you’ve lit the grill, put a few cold ones on ice, but you are broiling in the direct sun – and so are your guests! So what is the solution for adding an inexpensive shading solution to your outdoor environment? A retractable awning of course! What type of retractable awning should I buy? Dominick Ciminiello, president of Awning Warehouse in Brooklyn, New York says homeowners typically buy two different types of residential retractable awnings: Lateral Arm Awnings and Drop Arm Awnings. What is the difference between a Lateral Arm & Retractable Arm Awning? 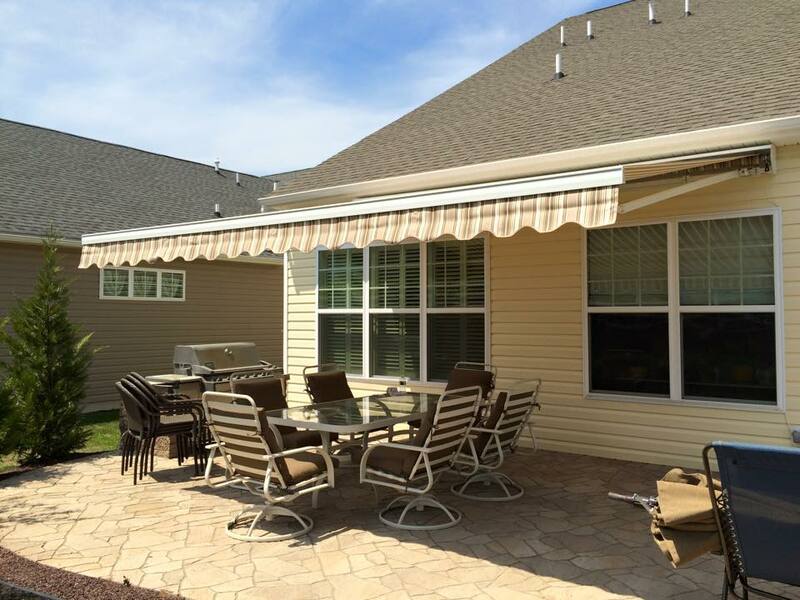 Retractable lateral arm awnings typically extend from the rooftop to provide shade over a large patio or deck. They can be hand cranked awnings or motorized awnings and offer maximum flexibility for different seasons. A side arm or drop arm retractable awning is also a great choice because it can be stored in a housing or holder when not in use. What is the cost to typically install a retractable awning? You’ll get many variations in price shopping around quotes for retractable awning installation. But experts agree that most manual & motorized retractable awning installations typically cost $2,000 to $5,000. Motorized versions with remote controls will normally cost more. Also, adding a motion sensor which enables the unit to retract in high winds can increase the price as well.